Spanish Name: - Price & Identification Guide by: Peggy Whiteneck. - See BOOK2 for Peggy's most recent Lladro creation. - - Price includes domestic shipping. 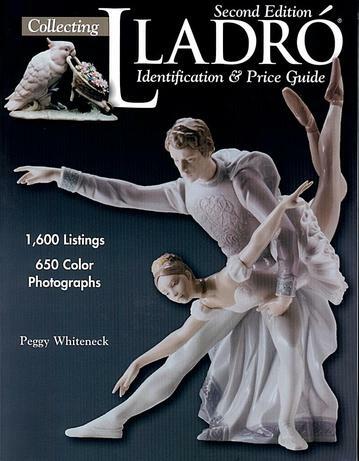 - Softcover, 208 pages, 500 color photos, more than 1,500 - listings of treasured Lladró pieces. Informative, objective & current ! Peggy Whiteneck -author, teacher, collector- has provided a very professional assist in editing text on this web site. We thank her very much.